Nothing makes a Sunday afternoon go down smoother than some trailers, so we’ve compiled a delightful little mixture of videos promoting upcoming movies and TV shows that you can now feel free to casually sip out on your patio or while watching the big sports game from your comfy chair. Today we’ve got teasers for Ozark, Blue Iguana, Glaubenberg, and Castlevania, so let’s jump right in. 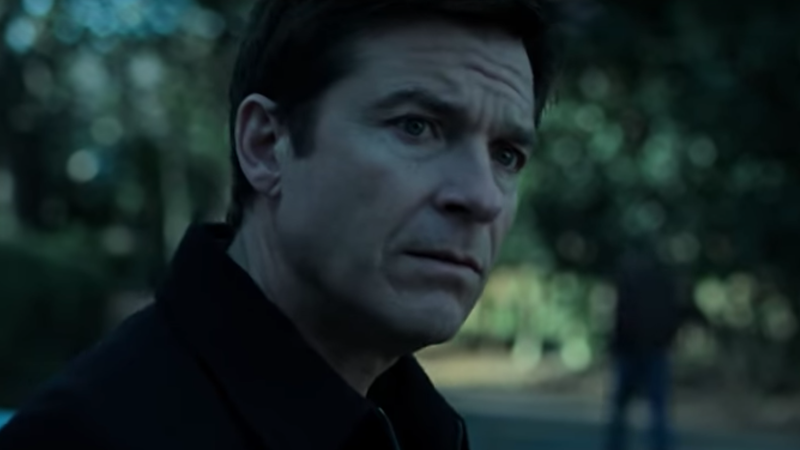 First up is a trailer for season two of Netflix’s Jason Bateman-starring crime drama Ozark. This teaser is pretty violent and features a scene where Bateman emphatically tells his son that he doesn’t kill people, but if that’s not an indication that this dark show is getting even darker, the growly cover of “The Man Who Sold The World” should make it obvious. Season two of Ozark premieres on August 31. Fresh off of winning an Academy Award, Sam Rockwell is teaming up with Ben Schwartz for Blue Iguana, a heist comedy that looks even sillier than most heist comedies—to the point where it’s kind of surprising that Rockwell’s Oscar glory is mentioned at all in the trailer. He deserves the attention, sure, but does it make sense to say he’s an Academy Award winner in every movie trailer? Blue Iguana will be in theaters on August 24. We’re just veeringly wildly between different tones today, so let’s keep that going with Glaubenberg, Thomas Imbach’s movie about a teenage girl named Lena who is so in love with her older brother that her feelings—as Imbach tells Variety—are “experienced as a form of madness.” That definitely comes through in this short trailer, which seems to cut between things that are really happening and Lena’s fantasies. The movie will premiere at the Locarno Festival in Switzerland at the beginning of August. But enough talk, have at you! Or, rather, have a teaser for the second season of Netflix’s Castlevania cartoon. The entire first season was approximately five minutes long, ending just as fan-favorite character Alucard was introduced, but at least the second season looks just as dark and melodramatic as the best stuff from season one. It won’t premiere until October 26, giving you plenty of time to make another run through the upside-down castle.